UEW are a leading UK supplier of specialist workholding to the engineering manufacturing sector, including chucks, fixtures and jaws. With over 70 years’ experience in the field, supplying to the automotive, nuclear, medical and many other industries, UEW offer a complete precision engineering service, including consultancy, design, manufacturing, installation and commissioning. 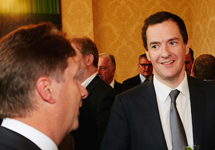 UEW MD Martin Adams attends the Northern Powerhouse reception. Standard jaws just won't grip? Sometimes a special jaw is the only solution for tricky components. Our experienced workholding engineers have a proven track record in delivering custom solutions to meet your exact needs. Whatever the shape and size of your component, we can design a fixture to hold it. Including multi-component and automated clamping. In addition to supplying solid reversible independent jaws to replace worn jaws we can also supply specials and carrier jaws to standardise jaw fitments across site. A full engineering design service; FE analysis, CAD and 3D modelling services for all workholding requirements. Our team loves a challenge. 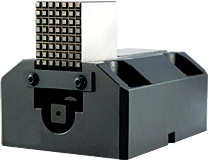 Innovative thinking solves complex workholding applications, reduces cycle times, and ultimately gives you big savings.